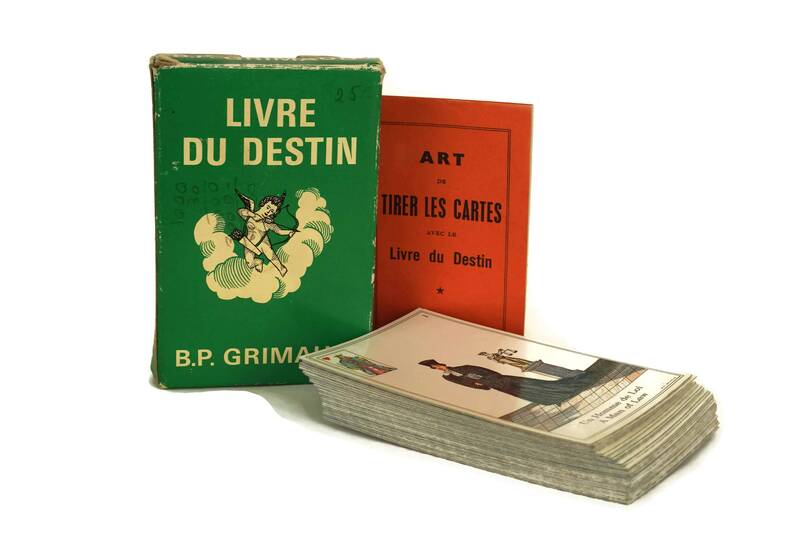 A charming French vintage deck of "The Book of Destiny" tarot cards by B. P. Grimaud. 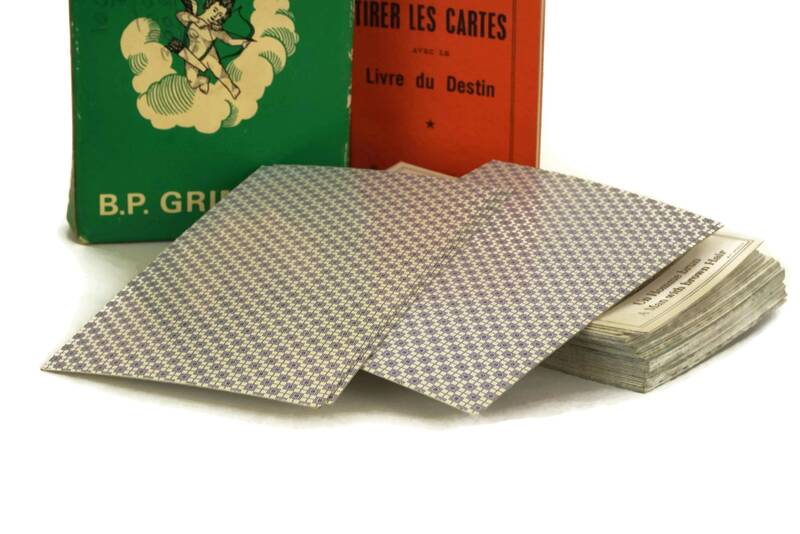 This is a vintage, pre-owned and pre-used edition of the ancient fortune telling game created in the 18th century. 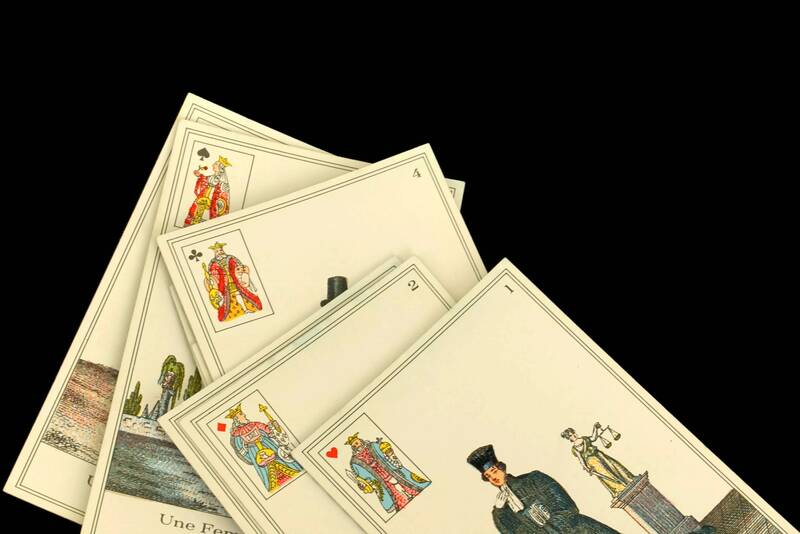 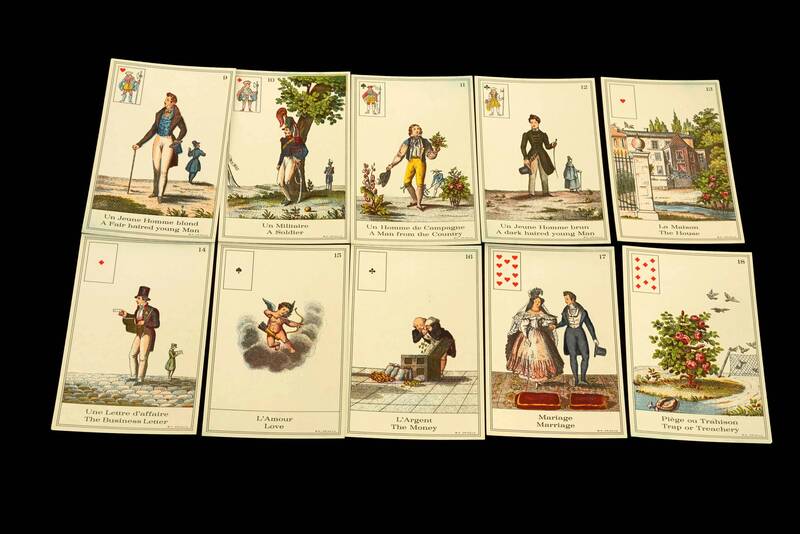 The deck, in its original box, consists of a complete set of 33 (32 picture and 1 blank) and depict a series of specific characters, such as a pregnant woman, a man of the law, a brown-haired young man, a widower and love letter and many others. 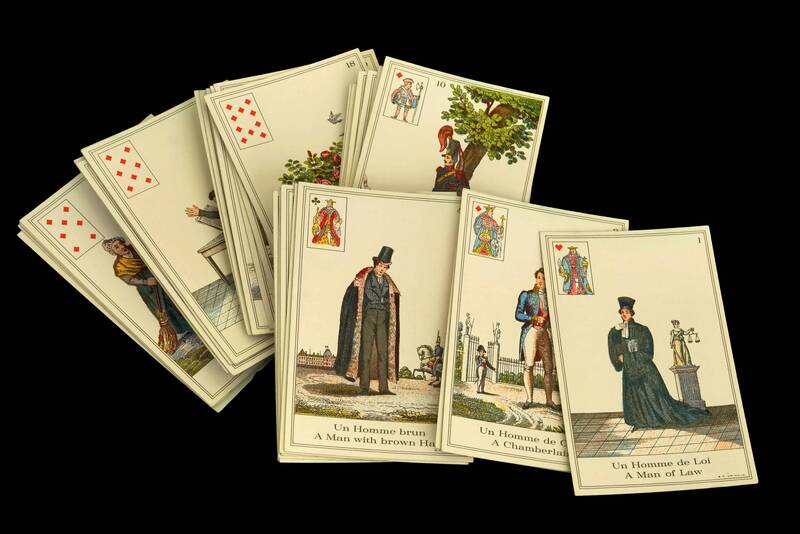 Each card features a beautiful illustration which acts as a pictorial key giving answers to any questions. 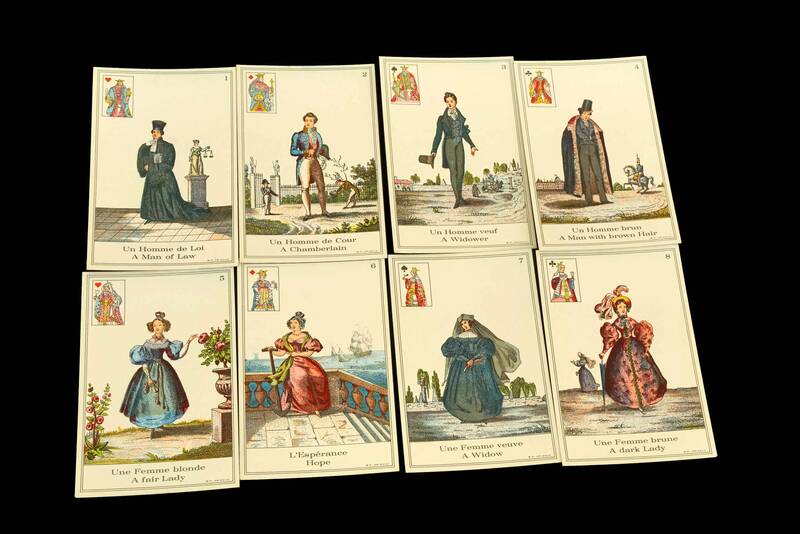 All cards have titles printed in both French and English. 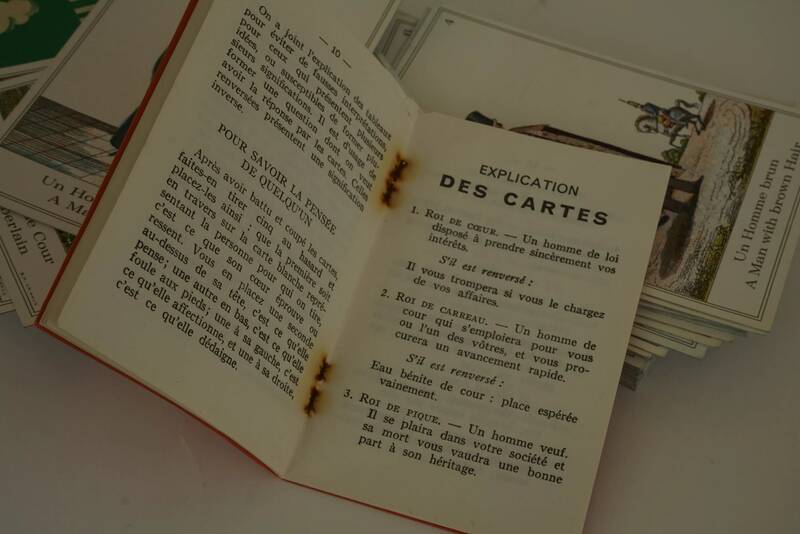 A small instruction booklet printed in French is included. 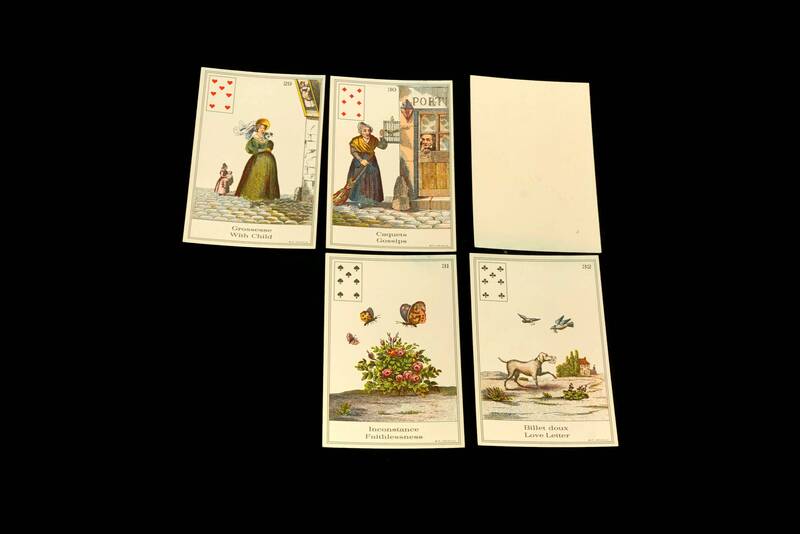 Size of cards approximately 4.3" x 2.9"
(11 cm x 7,5 cm). 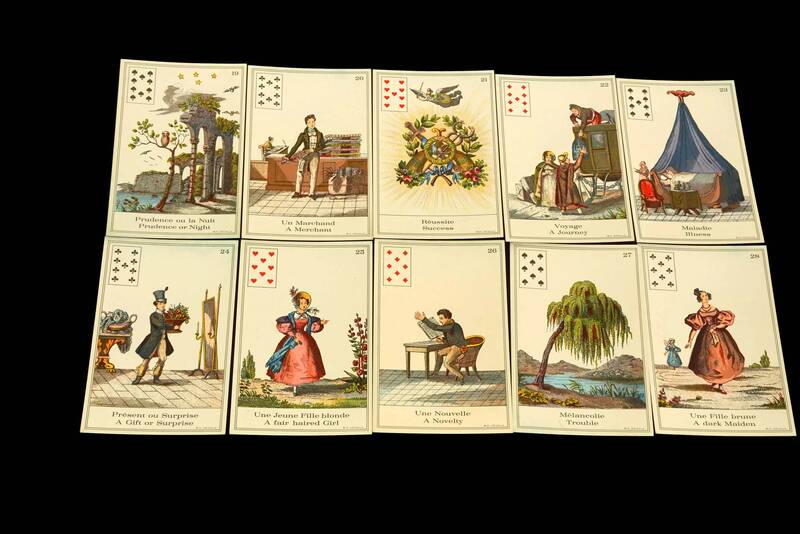 The deck is in very good condition withe light signs marks and signs of wear to the cards. 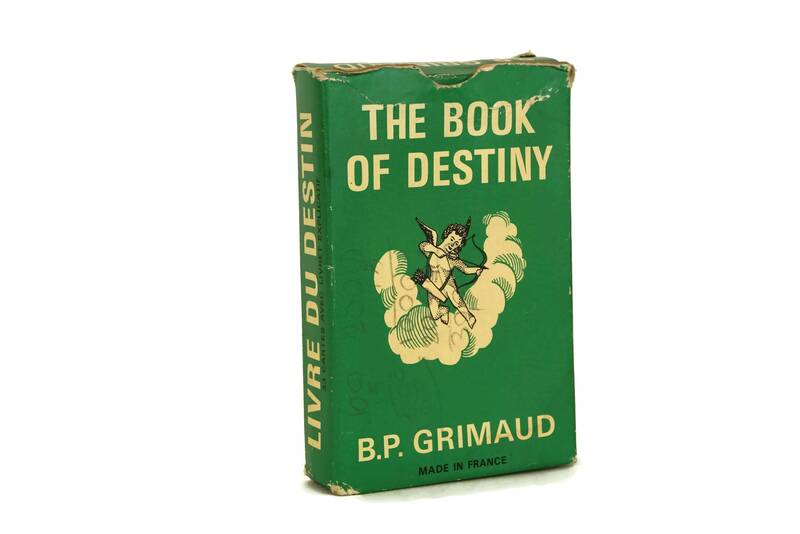 The box is worn and has pencil writing on the exterior.